The 2018 Puerto Vallarta Marathon 2018 was announced during a press conference in which Tourism Secretary of Jalisco, Enrique Ramos, participated. This great sports event will be held on April 15 as part of the festivities that will commemorate the 100th anniversary of Puerto Vallarta. The big race will include three modalities: A marathon, a half marathon and a 5-kilometer recreational race. 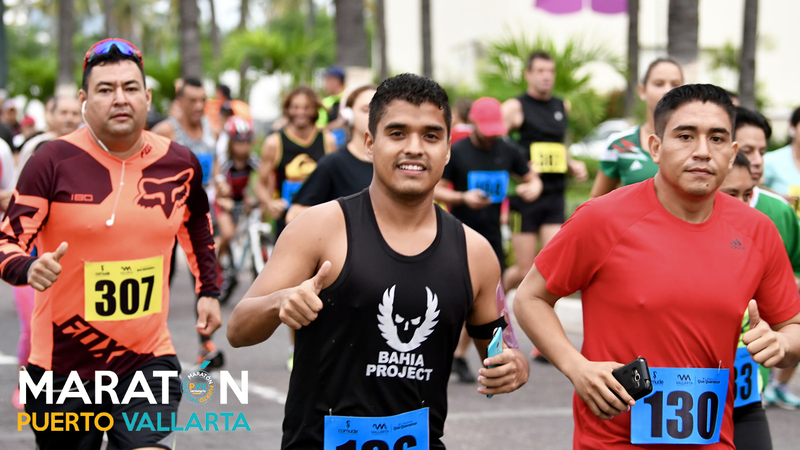 This first Puerto Vallarta Marathon is expected to become a tourist attraction, gathering more than 2,500 athletes from all over the world, including some of the most important runners. Both male and female athletes and aficionados are invited to register for this running event, which will be divided in four categories by age, as follows: Free Category, from 18 to 39 years; Master category, from 40 to 49 years old; Veteran Category, from 50 to 59 years old and Veteran Plus Category, from 60 years old and up. The 2018 Puerto Vallarta Marathon will be held on Sunday April 15, starting early at 6:30am at the API (Terminal Portuaria). Runners will have to run across 42.195 kilometers through the city until they finish the race back at the starting point, within a time limit of 6 hours to complete the course. The Half Marathon will start the same day at the same place at 6:30. The race will have a length of 21,097 kilometers, with a time limit of 3 hours to finish the route. The first three runners in male and female category getting to the finish line –regardless their age category– will get cash prizes. In addition, the first three female and male runners of each group will receive cash prizes too, according to their age category. Registration is available until April 13 and can be done at the official website, by email or at any Innovasport store. For registrations and more information, visit maratonpuertovallarta.com. Delfín No. 22, La Cruz de Huanacaxtle, Nay.